The 2017 tallow changed a LOT about taxes including the forms…. 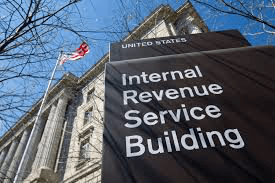 The 35 day government shutdown furloughing IRS workers did NOT help…. American’s will getting screwed by all this…. A record shutdown of the United States government resulted in a “shocking” number of taxpayers’ calls to the Internal Revenue Service going unreturned or being left to languish on hold for unusually long periods, according to a government audit released on Tuesday. The audit, by the office of the National Taxpayer Advocate, shows that when thousands of agency employees furloughed during the shutdown returned to work after more than a month away, they found over five million pieces of unanswered mail and 87,000 amended tax returns waiting to be processed. The issues were especially acute since they followed significant changes to the tax code that left many people with questions about filing their returns. The problems continued even after the shutdown, the audit found. In the week that ended Feb. 2, shortly after agency employees returned to their jobs, less than half of the calls to the I.R.S.’s accounts-management lines were answered, compared with nearly 90 percent during the same week last year. The typical hold time for such callers increased to 17 minutes from 4 minutes in 2018. There were similar frustrations for those who called the agency’s so-called balance-due line in hopes of making payment arrangements. Fewer than 7 percent of such calls were answered, and the typical wait for those that were stretched to more than 80 minutes.